After care in the cafeteria. Good Friday; Easter break continues through April 28th. 1. Student must be registered for the school year. 2. FACTS Grant and Aid application must be completed and in “verified” status. 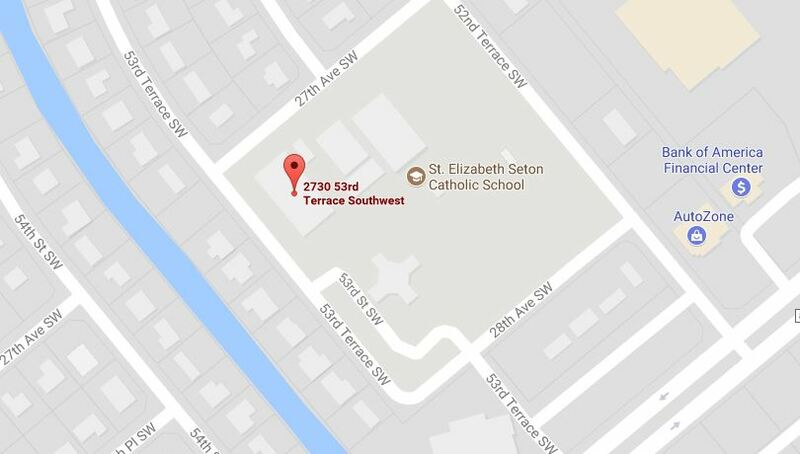 If you are wishing tuition support from your home parish, please meet with your priest or parish representative to discuss tuition assistance. When scholarships become available, school administration reviews the scholarship criteria and uses the FACTS Grant and Aid application results to identify families that meet the criteria. Scholarships will only be given to those identified families. Be sure to go online at https://www.treering.com/validate?PassCode=1015378175441915 to purchase your copy of the 2018-2019 yearbook. Copies MUST be purchased by you through this link by Friday, April 19th, 2019. No copies will be available for purchase this year unless ordered through the website first. After this date, you may purchase yearbooks but they will be delivered directly to your home for an additional fee. Students of the Week Congratulations to our students of the week! Keep up your great work! 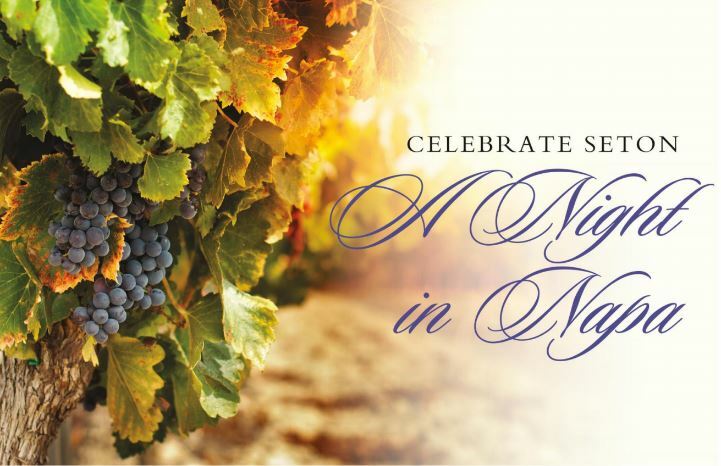 Many sincere thanks to all who made our A NIGHT IN NAPA a great success! All our auction items were sold! Congratulations to the lucky bidders! The only items remaining are from our Wishing Well, which included a list of items for our teachers. There still is opportunity to purchase these via Instabuy on the Qtego website. The link will remain active until Tuesday, April 16th. 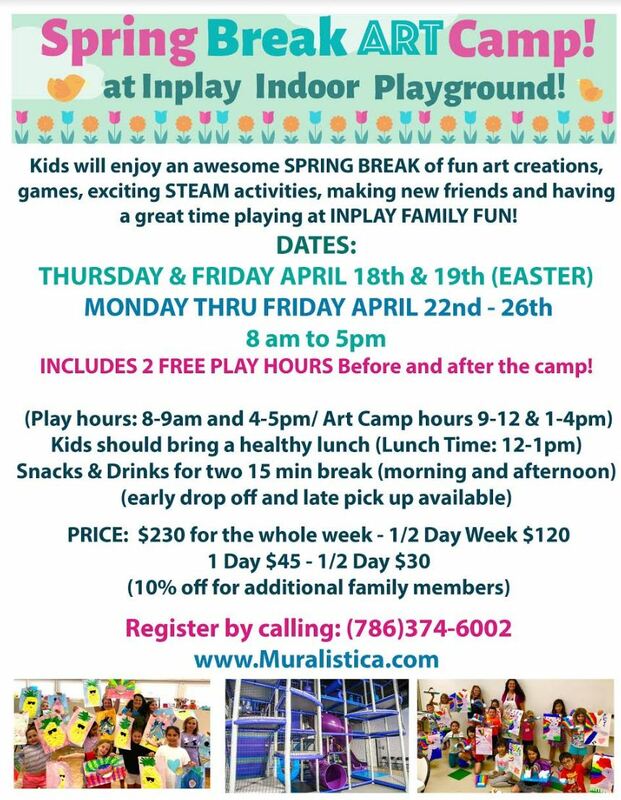 If you are interested in purchasing any of the times listed below, please log on to www.qtego.net/qlink/celebrateseton no later than Monday, April 15th. Beyond that, unsold items still may be purchased for teachers by contacting Mrs. Niebuhr. MOTHER/SON FUN NIGHT: WEDNESDAY, APRIL 17th 4:30 to 6:30 p.m. 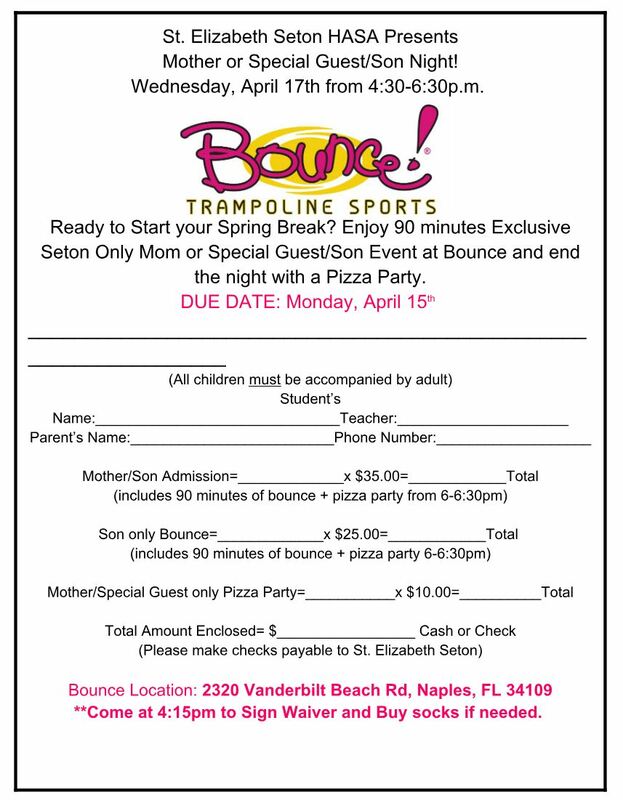 Enjoy a fun evening at Bounce including a pizza party! Reservations/payment due by MONDAY, APRIL 15TH! 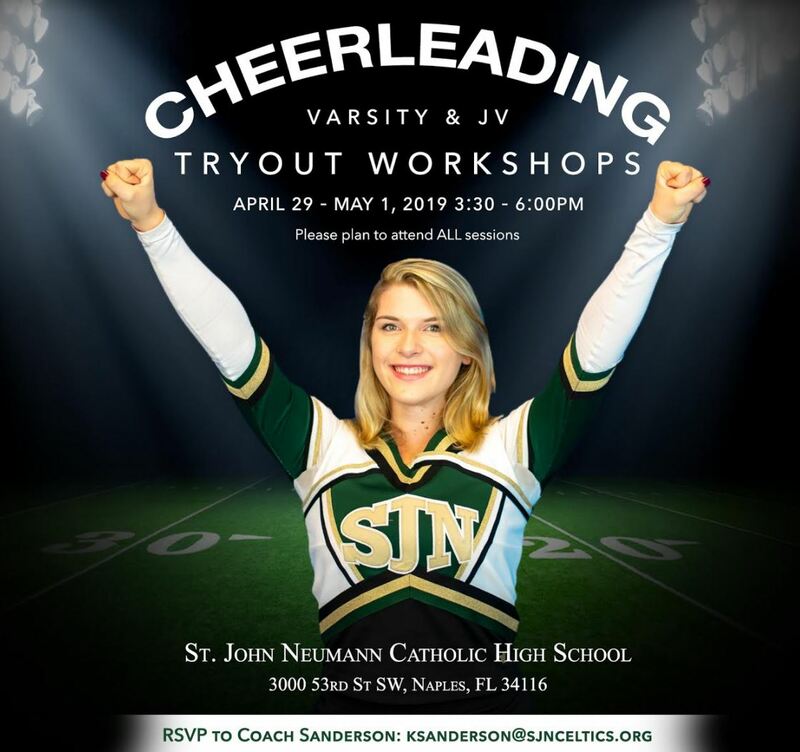 Cheerleading tryouts April 29-May 1 from 3:30 to 6:00 p.m. See attached flyer. 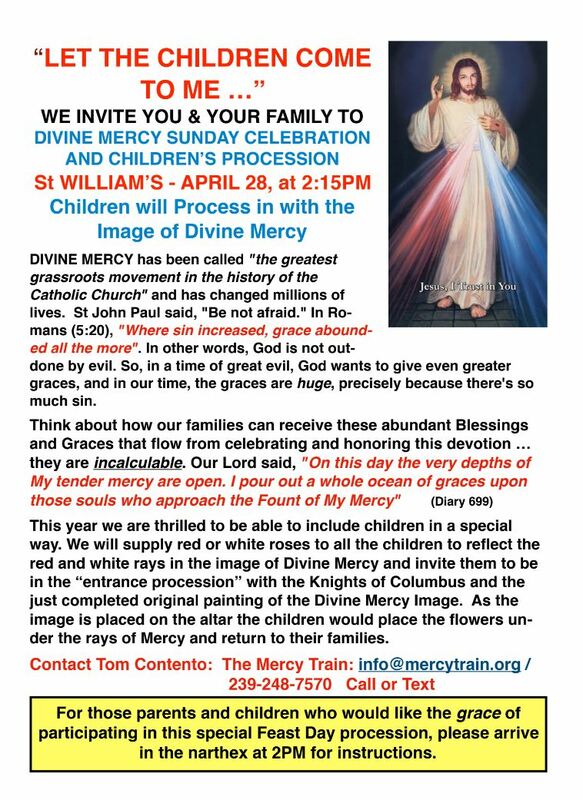 Join in a spiritual and enriching family event at the Divine Mercy Sunday celebration at St. William Church on April 28th at 2:15 p.m. Children are invited to join in the procession. See flyer for details.